Chia is an ancient Mayan word for strength. Introducing it into my diet has helped my hunger and stamina exponentially. It’s a good source of protein, fiber, calcium and omega-3. 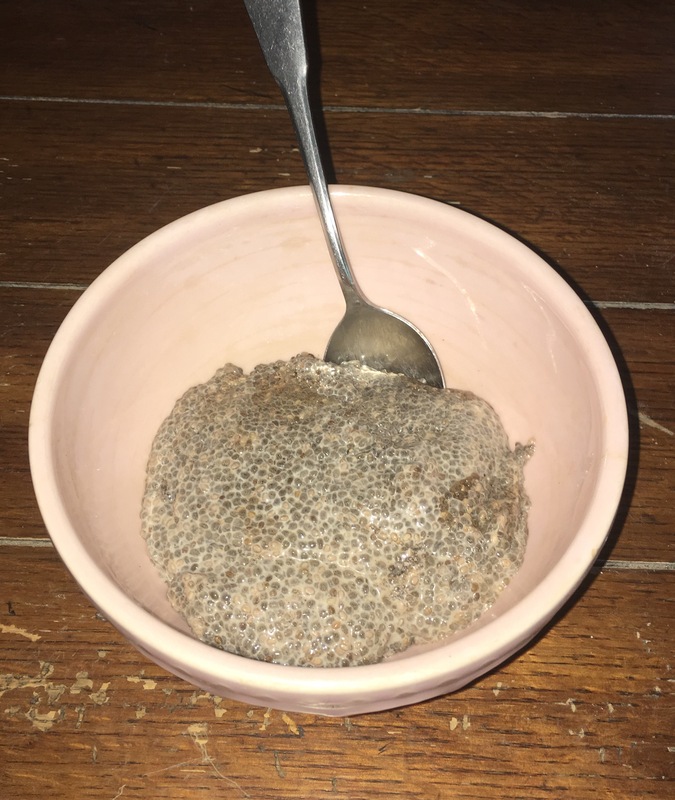 Eating chia puddings have become a staple for me on days I’m losing weight and feeling motivated to work out. My favorite cookie is definitely my mom’s gingerbread so combining her spices with chia pudding seemed like a perfect fit to satisfy my sweet tooth in a healthy way. *Can be increased with preference. Combine ingredients in Tupperware bowl and leave in fridge overnight. If you would like to make more for the week, just keep the ratio of 4 tablespoons per cup of coconut milk in mind. In the morning, enjoy a healthful, yummy gingerbread chia pudding !